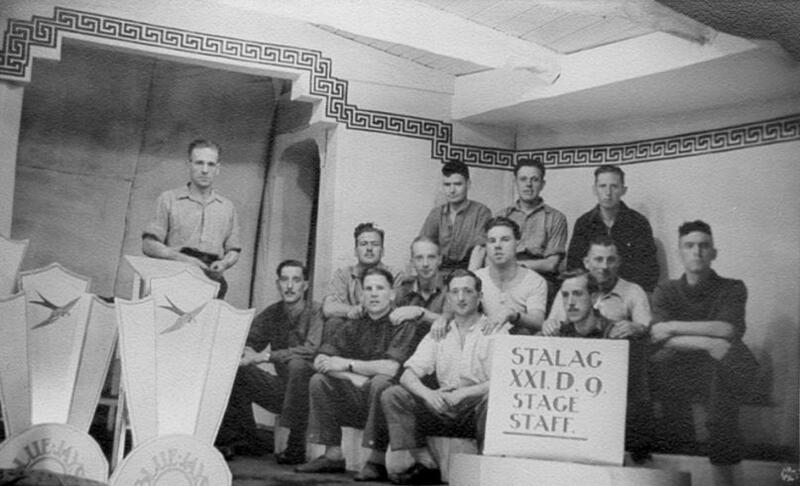 The stage crew of a theatrical production. Guardsman Philip Saunders, of the Coldstream Guards, is sitting on the extreme right of the middle row. Copyright: Mick Saunders.